Private support from individuals, foundations and corporations makes the difference between a good university and a great university. It allows us to successfully compete against peer institutions for top research faculty and students. It bridges the gap between the cost of tuition and state funding, keeping higher education accessible to students who otherwise could not afford to attend. Private gifts allow us to add new programs and enhance the quality of our existing programs. Simply put, giving is critical to the success of our university. Philanthropy has the power to shape worlds. 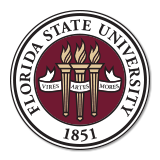 Whether it’s promoting the discovery of cures through the support of ground-breaking research or helping a single student achieve their dream of a college degree, giving to Florida State changes lives.